WE LOVE tattoos, our kids, our families, and life. Not necessarily in that order. WE BELIEVE that tattooed moms are no better or worse than non-tattooed moms. We are just more colorful and maybe a little bit cooler. We also have a lot more to talk about than just our kids and our tattoos! WE ARE COMMITTED to hearing everyone's voice and opening discussions on all topics. Having differing opinions doesn't mean we have to be enemies. We can all learn something from one another and we can all agree to disagree if necessary. Constructive communication and discussion, with a little bit of snarky humor mixed in, is what we are committed to promoting. Bullying, bashing, and outright rudeness will not be tolerated. Everyone needs to vent at some point but, let's keep it classy. Just a tattooed mom that happens to be a serial entrepreneur and graphic designer. Also a font hoarder, tea drinker, list maker, and animal lover...in no particular order. We'll be adding to our team in the future - keep an eye out for your chance to join us! 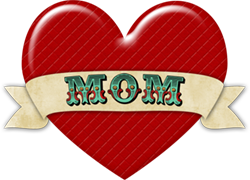 ...and get a FREE "Classy & Sassy Tattooed Mommy" wallpaper for your device!